"We are confident that the association between race and the death penalty is not attributed to random chance," the state's supreme court justices wrote in a majority opinion. Gov. Jay Inslee issued a moratorium on the death penalty in Washington in 2014, and on Thursday he called the opinion a "hugely important moment in our pursuit for equal and fair application of justice." 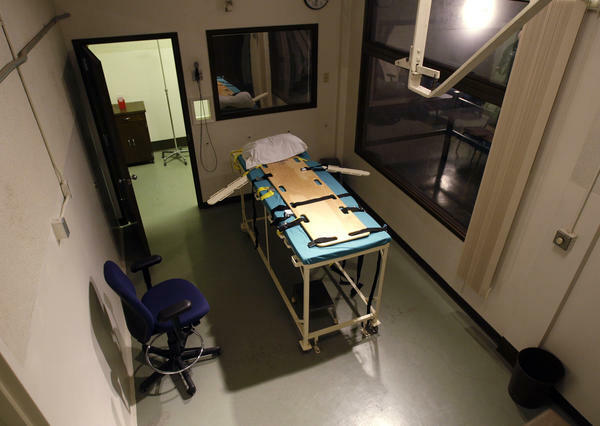 Thursday's ruling makes Washington the 20th state to abolish capital punishment. According to the ACLU, this state supreme court is the third to do so citing concerns about racial disparities, along with Massachusetts and Connecticut. The court decided to convert Washington's current death sentences to life imprisonment. The state's corrections division says that there are eight people currently on death row. This case was prompted by one of those inmates, Allen Eugene Gregory, who was found guilty of the 1996 aggravated first-degree murder of a woman. Gregory argued that the death penalty in Washington is "unequally applied," and the justices agreed with him. According to the opinion, the convicted murderer commissioned a study of racial bias and the death penalty that found "black defendants were four and a half times more likely to be sentenced to death than similarly situated white defendants." The report "said race didn't appear to influence whether prosecutors sought the death penalty, but it was a factor in whether juries imposed a death sentence," as NPR member station KUOW reported. The state disputed the study's claims, but ultimately the justices said they afforded "great weight" to its conclusions. They also said that even though the purposes of the death penalty are "retribution and deterrence of capital crimes by prospective offenders," capital punishment fails to serve these goals as it is currently applied in the state. At the same time, they didn't completely rule out the state imposing the death penalty again in the future. "We leave open the possibility that the legislature may enact a 'carefully drafted statute' ... to impose capital punishment in this state, but it cannot create a system that offends constitutional rights," the majority opinion states. A concurring opinion also supported invalidating the death penalty, but for different reasoning. The justices declined to revisit Gregory's conviction for aggravated first-degree murder, saying that it "has already been appealed and affirmed by this court." Opponents of the death penalty, such as the ACLU, are cheering the decision. "There is nothing unique about the role racism played in Washington's death penalty," said Jeff Robinson, the deputy legal director and director of the Trone Center for Justice at the ACLU. "What is rare is the Supreme Court's willingness to call out the truth that has always been there. ... Racial bias, conscious or unconscious, plays a role in the death penalty decisions across America, influencing who faces this ultimate punishment, who sits on the jury, what kind of victim impact and mitigation evidence is used, and who is given life or death," he said. KUOW reported that Cal Coburn Brown's execution in 2010 was the last time the death penalty was carried out in Washington.